Once Daniel's Model Suite With Soaring Ceiling Heights & Private/Gated/Raised Patio Facing East. Spectacular, Spacious, Preferred Split Plan Hosts A King Size Master With A 3Pc Ensuite With 2 Full Closets. Large Den With Window. A Full 2nd Bathroom. Plenty Of Upgrades Including Gleaming New Hardwood Floors, Granite Counters, New Kitchen Stainless Steel Appliances. 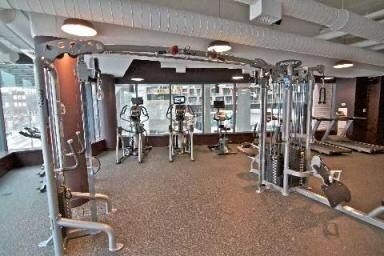 Stroll To Bayview Village & All It's Amenities/Ymca, Ttc. A Rare Opportunity...Not To Be Missed! Extras: S/S Induction Range/New Cookware Set, S/S Frig, S/S Dw, S/S Mw - All With 5 Year Warranty. W/Dryer. Locker/ 1 Parking. Claridges' Amenities Incl: Abundant E-Z Access Visitor Parking/Piano Lounge/Library/Garden/Access To Amica At Bayview. Spectacular, Spacious Custom-Designed Kitchen, Granite Counters, New Appliances. Gracious Residence, Gleaming Hardwood. Preferred Spilt Two Bed/Two Bath Floor Plan. King Size Master With Custom Walk-in Closet, 3 Piece Ensuite. Second Bedroom fits Queen Size Bed, Custom Walk-in Closet With Hunter Douglas Blinds. Laundry Room With Storage. Locker Steps From Unit. Stroll To Bayview Village And All It’s Amenities/YMCA/TTC. A Rare Opportunity…Not To Be Missed! Highly Sought After Claridges Is Built by Daniels. Spacious Corner Unit, Spilt Floor Plan/2 Bed/2 Baths. Two Windows Brighten The Spacious Eat-in Kitchen. Gleaming Counters/Custom Cupboards Entice Your Culinary Skills. Ideal For Active, Mature Professionals/Empty Nesters. Stroll To The Luxury Shops Of Bayview Village/YMCA/TTC. Claridges’ Facilities Incl. Piano Lounge/Library, Visitor Parking, Indoor Access on 2nd Floor to Amica’s Mature Lifestyles Center. 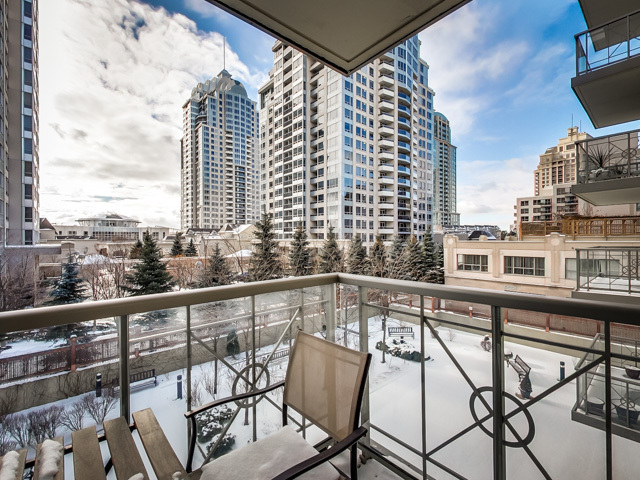 Highly Sought After Daniels Built Condo South View, Open Balcony. Spacious/Bright, 2Bed/2Bath/Split Floor Plan. Perfect For Active, Mature Professional/Empty Nester. Stroll To The Luxury Shops Of Bayview Village And Pick Up Lunch For You And Friends At Pusateri's. Unwind Back At Your Suite On Your Terrace Overlooking Claridges’ Private Garden. Facilities Incl. Piano Lounge/Library, Visitor Parking, Indoor Access to Amica’s Mature Lifestyles Center. Extras: Gleaming Hardwood. Master With Broadloom. Incl. S/S Fridge, S/S Stove, S/S B/I DW, Microwave. At Seller’s Request DR Chandelier EXCLUDED. EZ Access to 401/TTC/YMCA At Your Doorstep! Buyer to Verify Measurements & Shared Facilities With Amica. Unobstructed Eye-Catching East View In Se Ultra Unique Corner Suite. Gracious, Spacious Residence, Ideal For Entertaining / Hospitality. Features Include A Designer Kitchen, Granite Countertops Throughout, Hardwood Floors, New Berber In Master, Crown Molding. Bright, Beautiful Split Bedroom Plan Each With Ensuite. 2 Balconies. Ample Room For All Your Art/Treasures. Stroll To Bayview Village And All It's Amenities/Ymca/Ttc. A Rare Opportunity...Not To Be Missed! Extras: Elfs, Hunter Douglas Window Blinds, Jenn-Air Frig & Dw, S/S Kitchen Aid Stove & Micro, W/Dryer, Dr Mirror. Locker Steps From Unit. Building Incl: Abundant E-Z Access Visitor Pking/Piano Lounge/Library/Garden/Access To Amica At Bayview. Welcome Home To Your Striking, Contemporary, Leading-Edge, Urban Sanctuary. Impeccably Updated, Polished and Refined For Today’s Discriminating Taste. This Exquisite, Sophisticated, Sunfilled Penthouse Is Not To Be Missed! Walk-in Custom Shower in Master Ensuite, Plus Two Vanities. Marble Foyer, Hand-Scraped Oak Flooring, Marble in 2nd Bedroom Ensuite. Come, Live in The Exclusive Area of Bayview Village And All It’s Amenities. WOW! Conveniently located just minutes south of Highway 401 nestled between Lawrence and Eglinton, just west of Brimley, in highly sought after Bendale neighbourhood. Minutes away from Scarborough Hospital, Scarborough Museum, Thomson Memorial Park and Knob Hill Park. Easy access to TTC and Go train. Close by the Scarborough Golf and Country Club and Bluffers Park. Quick drive to Scarborough Town Centre. This home is centrally located for all your family activities. 11 Panmure Crescent is tastefully renovated and adorned by luxurious finishes. This two-storey, spacious 3 + 1 bedroom is ideal for a growing family, move-in ready! Fully fenced yard plus garden shed for extra storage. Plus storage area outside kitchen door for your garbage bins. Dining room sliding door gives access the convenient patio for entertaining in your back yard. Attention Builders! Family-Friendly Bathurst Manor Opportunity. Lot 42 X 113. South Facing. Original Owner Over 70 Years. Walk To Schools, Parks & Subway. Excellent Transit Location. Welcome to Malibu Condos. This 1+1 Bedroom Ventura Suite Is An Ideal Location for Harbourfront Living or Investment. Open Concept Kitchen/Dining. Den With Alcove. Spacious Master Bedroom With Mirrored Closet. Floor To Ceiling Windows. Unobstructed View of CN Tower From Your Balcony. Stroll To Queens Quay, King West, CNE, Billy Bishop Airport, Bike Trails, Parkland & Lake. Ease of Access To QEW/DVP. TTC At Your Doorstep. Walk Score: 87 Bike Score: 100. Extras: Includes One Parking + One Locker. Included: Stove/DW/Microwave/Frig. Washer/Dryer, Moveable Kitchen Island. Curtain Rods, Amazing Building Amenities Include Indoor Pool + Hot Tub Under Glass Ceiling, Rooftop BBQ Deck With View Of Lake, Party room, Gym, Underground Visitor Parking. It’s Not Just Lipstick! The Important Upgrades Are Done! Fully Waterproofed Basement/Sub Pump W/20 Year/Transferrable Warranty. Wiring Re-done/Breaker Panel. Newer Roof. SOUTH YARD W/Perennials/Custom Landscaping. One Of Mimico’s Prime Avenues. Beautiful Family Home Steps To Lake/Waterfront Bike Trail/New Splash Pad Park. Walk to Groceries/Mimico GO/TTC. French Immersion at John English School. Custom Kitchen, Gas Fireplace Freshly Painted; Floors Refinished. Fireplace/2 Bedroom & 3 Pc Bath. South Garden. Extras Include: Elfs, Tankless Hot Water (Owned); Kitchen Aid Ss 5 Burner Gas Range With Double Oven (Electric), Ss Kitchen Aid Frig; Miele Dishwasher (White) and California Shutters. LI Oven, Bar Frig, Washer/Dryer. Excluded: Main Floor Drapes. Looking for a sun-filled, spacious spilt floor plan with two bedrooms PLUS a den? This unit is not to be missed! This unit feels like a bungalow with soaring 9 foot ceilings, crown moulding and pot lights. Greet your guests graciously in your elegant foyer. The large den with coffered ceilings creates an ideal location for a home office or TV room. Both bedrooms include spacious walk-in closets and the ensuite laundry is discreetly tucked into the Master bedroom wing. This unit includes one parking and one private locker directly across the hall from your suite. From your eastern balcony enjoy watching children playing in the nearby park. This building is a brief stroll to the luxurious Shops of Bayview Village. Claridges’ Facilities Include Piano Lounge and Library. Easy Access On The Second Floor To Amica-at-Bayview increases the amenities available for Claridges’ Owners Use and included in your reasonable maintenance fee. Perfect Location For Active, Mature Professionals and Empty Nesters. A Unit Not To Miss! This is the one you’ve dreamt of owning! Stellar View and space for two! 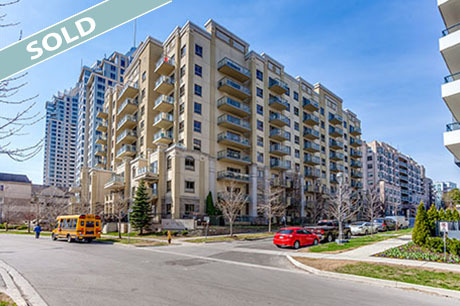 This bright, south facing unit is located in the heart of Bayview Village. Rarely offered, this sun-filled and spacious two-bedroom unit, plus den, is move-in ready! A highly sought after spilt floor plan with a Master bedroom large enough for a King bed and the second bedroom comfortably holds a Queen bed. Each bedroom with its own ensuite bathroom. 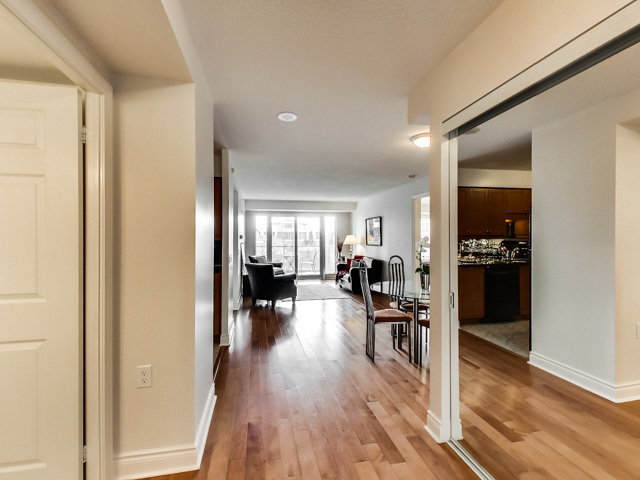 Gleaming Maple hardwood floors throughout the main living areas and carpeted bedrooms. 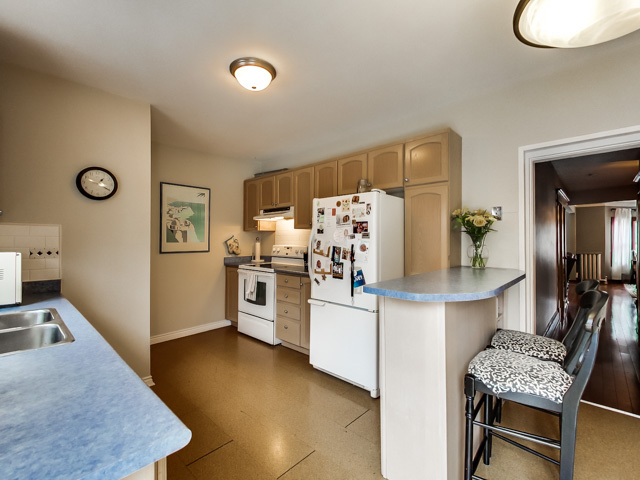 A spacious kitchen with plenty of cupboards, granite counters and stainless steel appliances. Off your kitchen is a large laundry room with hook up ready for a laundry tub or small freezer. Just like home! 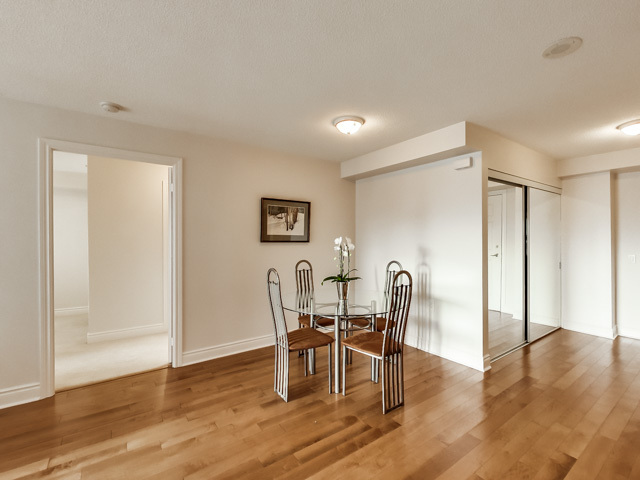 As you enter your suite, the den is discreetly hidden behind a sliding pocket door, across from your 2-piece guest washroom and ample front hall closet. This unit comes with a large storage locker on the same floor as your unit, just steps from your suite. One parking is also included. Stroll to the luxury Shops of Bayview Village and pick up your lunch at Pusateris and unwind back at your suite on one of your TWO terraces overlooking Claridges’ Private Garden. Claridges’, a mature lifestyle condominium is attached by an above grade indoor walkway to Amica at Bayview. Owners have privileges to use the indoor Aquavit pool, games room, home theatre, dining room and the “Bayview Arms” Pub. This is the one you’ve dreamt of owning! Stellar View! 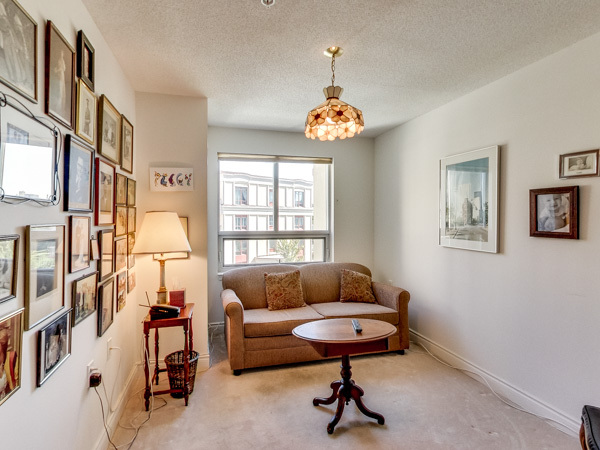 This bright south west corner unit is located in the Heart of Bayview Village. Elegant and luxurious, this two bedroom/two bath spilt floor plan awaits you. Gleaming hardwood floors, crown moulding and a fireplace accent the spacious living area. Granite kitchen counters and stainless steel appliances are ready for your culinary creations. French glass doors discretely hide your kitchen when your guests arrive. New carpets in your Master Bedroom and walk-in closet. Unit 503 is freshly painted and awaiting your visit. Stroll to the luxury Shops of Bayview Village and pick up your lunch at Pusateris and dine with your friends, overlooking Claridges’ private garden from your spacious balcony. Most errands can be accomplished on foot as the walk score for Claridges is 77/100. 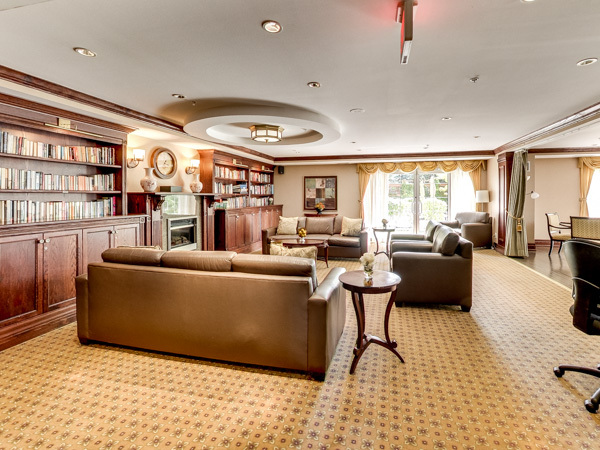 Claridges, a mature lifestyle condominium is attached by an above grade indoor walkway to the amenities of Amica including indoor Aquavit pool, games room, home theatre, dining and the “Bayview Arms” English-style Pub and so much more! Granite Counters-Crown Moulding-Flat Ceilings-Pot Lights--You have it all! 2 Bed + Den Split Plan, 2 Bath. Perfect For Active, Mature Professionals/Empty Nesters. Very Reasonable Condo Fee. Stroll To The Luxury Shops Of Bayview Village And Pick Up Lunch For You And Friends At Pusateri's. Unwind Back At Your Suite On Your Terrace. Facilities Incl. Piano Lounge/Library, Visitor Parking, Indoor Access to Amica's Amazing Amenities–Pub, Restaurant, Movies + more! 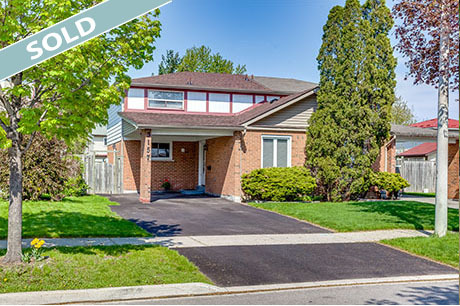 Located In The Prestigious School Catchments Of Denlow PS, Windfield JHS & York Mills CI. Adorned By Luxurious High-End Finishes, This Spacious 3 Bed Executive Townhome Is Move-In Ready! Rich Mahogany Cupboards With Plenty Of Storage, Granite Counters, Porcelain Backsplash, Pot Lights And Stainless Steel Appliances Accent This Eat-in Kitchen With Bay Window Seating. Attention To Detail Complimented By Cornice Moulding And Gleaming Walnut Oak Hardwood Floors (2015). 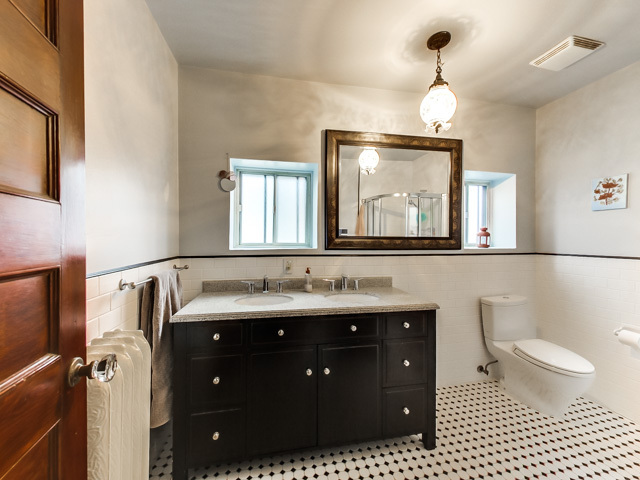 Bath Details Include Slate Flooring, Marble Tiling And Counters With A Rain Showerhead. Elegant Mainfloor Powder Room With Granite Countertop. Walk-out Family Room With A Built-in Bookcase And A Bar Frig for Patio Convenience. Renovated Laundry With Built-in Ironing Board And Direct Access to Garage. Shows 10+++. Not to be missed. A Brief Walk To Excellent Schools, Both Private And Public, Parks, Longo’s, Shopping, Restaurants, And Cafes. 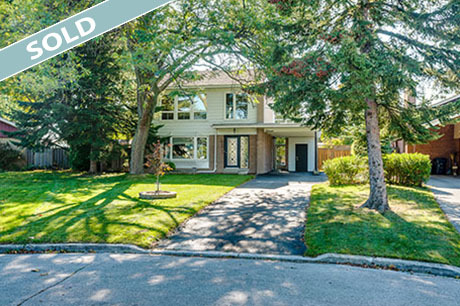 A Brief Drive To The Shops Of Don Mills And The Beautiful Edwards Garden Plus Easy Access To Major Highways And Downtown. 76 Walkscore. Located in the Prestigious school catchments of Denlow Public School, Windfield JHS and York Mills CI, this spacious three bedroom executive townhome is move-in ready! Nestled in the private enclave of a well-managed complex, this home has a quiet garden patio ready for your summer entertaining. A brief walk to excellent schools, both private and public, parks, Longo’s, shopping, restaurants, and cafes. A brief drive to the Shops of Don Mills and the beautiful Edwards Garden plus easy access to major highways. This Executive townhome is lovingly maintained by the owner. Large eat-in family kitchen, walk-out to the patio from the Living Room, 3 spacious bedrooms and a finished recreational room in the basement. This is the one you’ve been waiting for — a luxurious ‘top up’ with a Master Bedroom Oasis and Guest Bedroom each with their own private ensuite. There is plenty of room for your growing family as this gem is situated on a child-friendly street with a private fenced yard. A brief stroll to Norseman Junior Middle School, The Etobicoke School of The Arts and Bishop Allen Academy. This spacious four bedroom home is move-in ready and awaiting your personal touch. Lot size 44.50 x 112.50. Circa 1909, This Century Home Awakens Your Creativity. Detached Residence Situated On A Premium Sized 55 X 140 Lot On One Of Upper Beach Most Desired Streets! Same Owners 50+years. Elegant 9 Ft Ceilings, French Doors, Hardwood Floors, Eat-in kitchen. Basement has Tall Ceilings, Direct Access plus a 4PC Bath. Private Drive holds 8 cars and Garage holds 4 cars. Nestled in 9.5 Acres of Luxurious Resort-Style living, this community offers privacy, elegance and captivating amenities. Noted for its’ Award Winning Landscaped Gardens, outdoor BBQ area, tennis courts and an outdoor pool the outdoor amenities are second to none. Indoor amenities include a salt water pool, hot tub, sauna, gym, squash courts, billards room, hobby room, golf practice, visitor parking and more! All conveniently placed at your doorstep. 2000 Islington is perfectly situated close to the 401/400/427 Major Highways. It is less than 14 km away from Sherway Gardens Shopping Centre, Yorkdale Shopping Mall and quick access to Pearson Airport for business trips or vacation get-a-ways. Sunfilled and sprawling, this suite welcomes you home. The spacious foyer with gleaming hardward flooring and traditional wainscoting flows seamlessly into a spacious dining room and living room that easily hosts your large family gatherings and private parties. Two bedrooms, plus a large den, floor to ceiling windows throughout makes this a spacious retreat from the busy world. 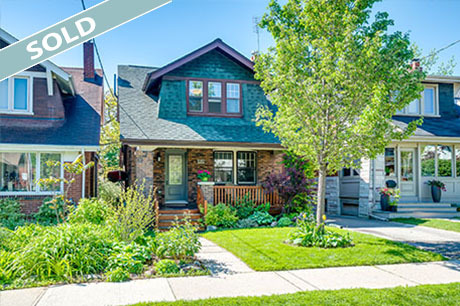 Full Of Charm And Character + Abundant Living Space. Directly Across From High Park. Brief Stroll To The Shops, Cafes & Restaurants of Roncesvalles. Located in a wonderful family friendly neighborhood filled with detached freehold homes, “Bridlewood Park” is ready for you! Easy access to Hwy 401/404/DVP, TTC and a short drive to Fairview Mall, this is a convenient area for every member of your family. 38 Catherwood is nestled on a quiet cul-de-sac, just a short walk to Bridlewood Park, a 4.1 hectare park featuring a lit baseball diamond, three lit outdoor tennis courts, a splash pad and a children’s playground. Improve your game too at Toronto’s premier golf course, Tam O’Shanter - just minutes from your doorstep! Located in Sir John A Macdonald Collegiate District, it’s a sought after family neighbourhood. Over 3400 sq feet of finished living space, lovingly maintained, designed for a large family and move-in ready. Ground floor family room, wood-burning fireplace, with a sliding door to rear patio and yard. Ground Floor Laundry and indoor access to large double garage. Eat-in kitchen. 4 large bedrooms with closets. Master Ensuite and Dressing table, walk-in closets and custom built cupboards. Two finished basement recreational rooms, infrared sauna and insulated crawlspace for the extra storage that growing families need! A value opportunity in the family friendly enclave – offered for sale for the first time in 36 years. 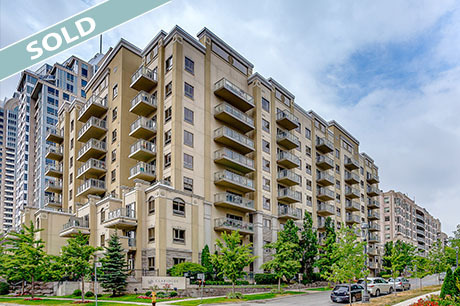 Located in the Heart of Bayview Village, with easy access to the 401. Stroll to the Luxury Shops of Bayview Village and pick up lunch for your and friends at Pusateri’s. Unwind back at your suite on your terrace overlooking Claridge’s private garden. Perfect for the active, mature Professional or Empty Nester. Very reasonable condo fee. Facilities include a piano Lounge/Library, underground Visitor Parking, indoor access to Amica’s Mature Lifestyles Centre with an indoor Aquafit pool, Dining Room, Games Room, Craft Kitchen, Home Theatre, Lectures, Bus Tours and so much more. Located in a wonderful family friendly neighborhood filled with detached freehold homes, “Richmond Gardens” is ready for you! Minutes to Pearson Airport, easy access to Hwy 401/427, TTC and a short drive to Sherway Gardens or Yorkdale Shopping Centre, this is convenient area for every member of your family. 27 Rockcastle is nestled on a quiet street just a short walk to Silvercreek Park, a 3.9 hectare park featuring a ball diamond, a multipurpose sports field, three tennis courts, children’s playground and an outdoor pool. 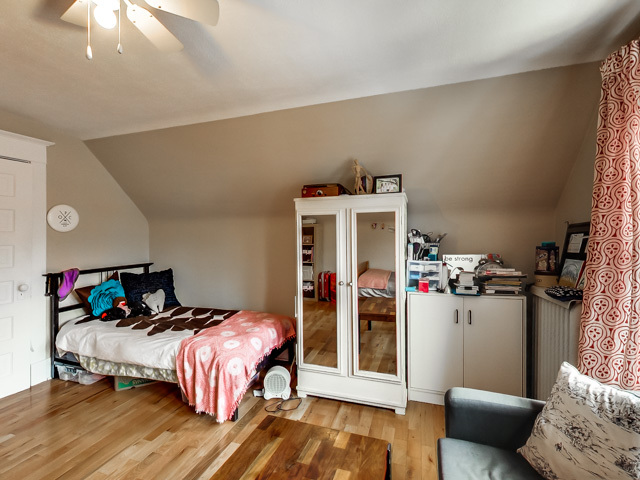 Located in the Richview Collegiate District and highly sought after. Richview Public Library at your doorstep. This full, two story home is lovingly maintained by the original owner. Ideal design for a large family and move-in ready. Main floor family room, wood burning fireplace, built-in bookshelves, sliding door to rear landscaped yard. Eat-in kitchen with yard access. 4 large bedrooms, Master Ensuite and Dressing room. Two finished basement recreational rooms, wood burning fireplace, laundry room with separate entrance, cold cellar. Large double garage and room for 4 cars in driveway. A value opportunity in a family friendly enclave - offered for sale for the first time from the Original owner! Meticulously restored and newly renovated to exacting contemporary standards including a rear addition to the main residence, classic 'Home Smith' architecture perfectly married to timeless interior design and the ideal 4 bedroom floor plan .. entertainers delight chefs kitchen overlooking landscaped rear yard with walkout from family room, exquisite detailed carpentry and moldings throughout including wainscotting and custom cabinetry, 2 car garage with 8 car driveway, inground radiant floor heating the home, automated irrigation system in landscaped front and rear yards .. an endless list of features carefully designed by Litwin Davies Interior Design / Tom Spragge Architect and lovingly crafted by R. W. Hope Construction. Highly sought location in Richmond Hill and steps to Yonge Street .. family friendly neighbourhood with Harding Park nearby .. beautifully maintained and updated 3 + 2 bedroom Detached 2 Car Garage home with professionally renovated basement, newer kitchen, exceptional south exposure lot and many custom features and finishes including hardwood flooring, solid oak spiral staircase and crown moulding thoughout the main floor .. eat-in family sized kitchen with stainless steel appliances .. steps to shopping, restaurants, HWY access, and much much more .. Highly Sought After Condo Built By Daniels. The "Windsor Arms" Suite, Bright 2 Bdrm/2Bath, Split Fl. Plan. Open Concept Kitchen, Granite Counters/Breakfast Bar. Wide Balcony South Off Lr. 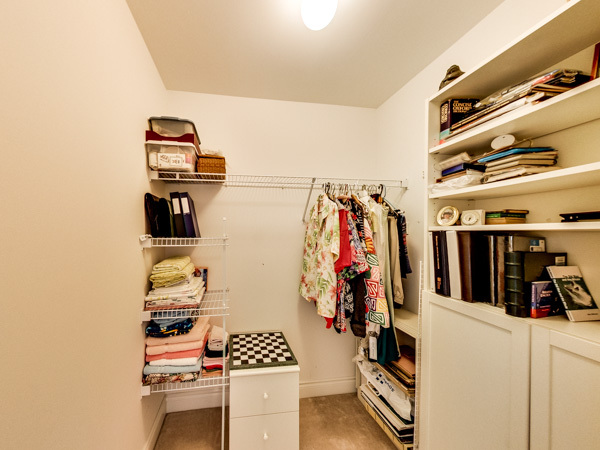 Walk- In Custom Closet In Master; Built-In Murphy Bed In Den. Private Owned Locker Steps From Unit. Please Visit Claridges' Private Garden, Lounge And Library On Floor 2. Hotel Type Amenities & Special Services A Amica To Claridges' Residents Via Indoor Walkway. Large 52 width lot in Prime Thornhill! First Time offered for sale! Move in condition home with exceptionally large yard on quiet cul de sac substantially updated: Finished basement, interlocking brick, newer windows and garage door (2009), new hardwoods on 2nd floor, updated kitchen! Overly large Master bedroom with sitting room, 4+1 Bedroom, 4 bathroom, wide 2 car garage with 6 car driveway, 3700+ finished square feet home on rarely offered 52+ width! Inclusions: Fridge, stove, dishwasher, Washer, Dryer, Central Vac, All Elfs, window coverings, all landscaping inc. Garden Shed. Parks, Schools, walking trails, Synagoges and churchs nearby in family friendly central thornhill location. The Prestigious Bridlepath Estates - Rarely Available South Exposure Lot on 100 Foot Width in Toronto’s Premier Community! Build Your Dream Home or Renovate Existing 3,500 sq ft Ranch Style Bungalow with Circular Drive. Nestled within Edwards Gardens, Sunnybrook Hospital, Granite Club and minutes to HWY 401, Toronto French School, Glendon Campus and the Canadian Film Centre. The Rare Combination of Convenience, Glorious Homes, Privacy, Gardens & Parks, Amenities, Academia and Destination Address of The Bridlepath - A Truly Magnificent Opportunity! Convenient Main Level Master with Walk In Closet & Ensuite, 3+2 Bedrooms, 5 Bathrooms, 6,200+ square feet of Finished Space Awaiting Your Personal Touch! Quiet Convenient Living Bayview/Sheppard. Perfect For Mature Professionals/Empty Nesters. Bright/Spacious, Nw Corner Unit, 2 Bdrm+1 Split Plan, Walk-In Closets, 2 Full Bath, Ensuite Laundry Room. Fireplace. Locker Same Floor/One Parking. Visitor Parking. Active, Social, Mature Lifestyle Living. Claridges' Private Garden, Lounge/Library. 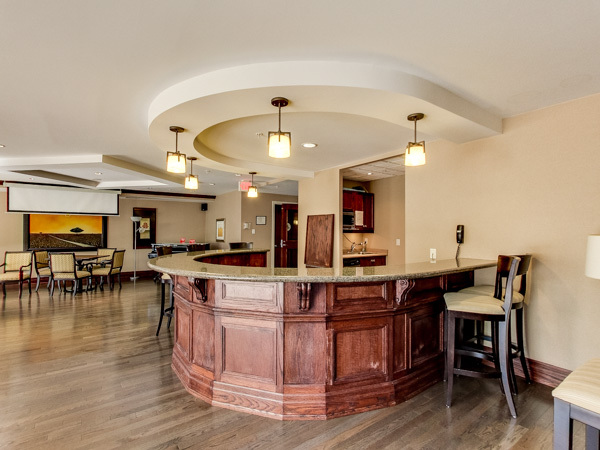 Indoor Access To Amica Amenities - Movie Theatre, Pub, Dining, Pool. Ttc, Park, Bayview Village, Ymca At Your Doorstep! 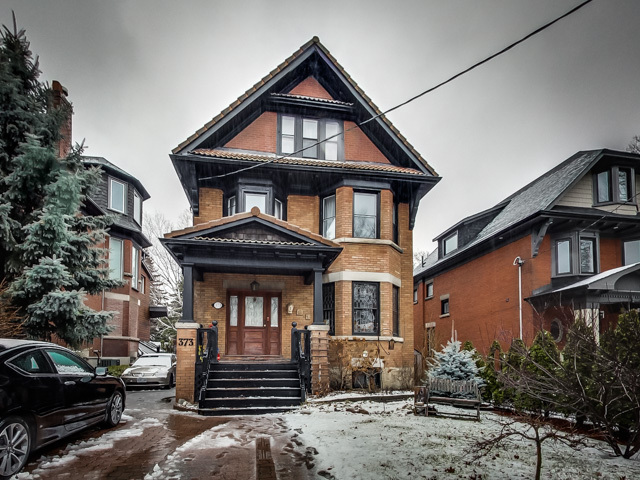 Classic Edwardian Solid Brick Detached Home Transformed Into Bright Open Concept Contemporary Home In Superb Neighbourhood W/High Walking Score! Seeking Those Who Appreciate Thoughtful Design & Gorgeous Workmanship, Completely Rebuilt W/Premium Design & Finishes (Pella Wood Windows & Doors, Chefs Kitchen W/Quartz Counters, White Oak Wood Floors, Kitchenaid Architect Appliances, Gas Fireplace). Massive Master Bedroom W/Spa Like Ensuite Bath. Elegant "Royal York" Suite At Claridges' Luxury Building. 2 Bdrm/2 Bath, 1352 Sq Ft. Bright North East Corner Unit. Upgrades Inc. Additional Cabinetry & Crown Moulding. New Porcelain Tile Foyer, Spilt Bedroom Plan W/Walk-In Closets & Ensuite Baths. Fireplace, Large Laundry Room W/Storage & Freezer, 2 Wide Balconies. Easy Access Parking Spot. Owned Locker On Same Floor Steps From Unit. Active, Social, Mature Lifestyle Living W/Indoor Access To Amica Facility! Luxurious Penthouse Living In Bayview Village At Claridges Amica! 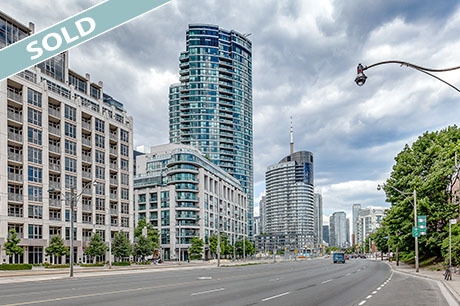 Light Filled Corner Suite W/Unobstructed South East Views Of Park & Toronto Skyline! Discriminating Custom Renovation: 3X Skylights, Library Bookshelves, Gas Fireplace W/Built In Surround Cabinetry, Gourmet Kitchen W/Premium S/Steel Appliances, Granite Counters, Polished Marble Bathrooms, Coffered Ceilings & Hardwood & Marble Floors! Large 1504 Sq Ft W/2 Balconies, 1X Car Parking, 1X Locker. 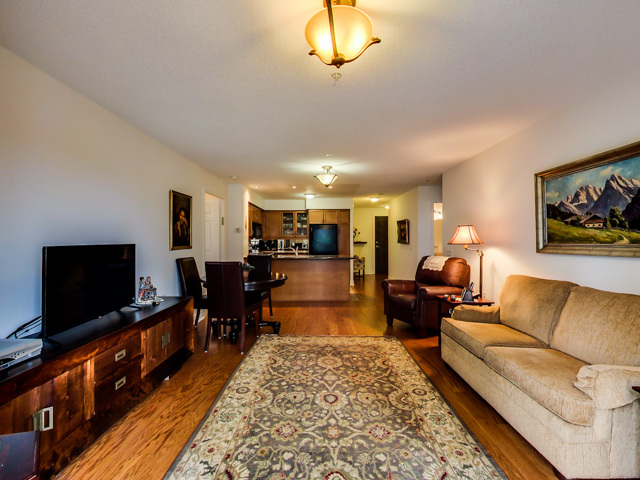 Spacious, Elegant 2 Bedroom Bungalow-Like Condo In Luxury Lifestyle Building. Bright North East Corner Unit & City Skyline Views, Long Upgrade List, Fireplace, Generous Foyer, Eat-In Kitchen, Spilt Bedroom Design, Master Bedroom With Walk-In Closet, Walk-In Laundry Room W/Laundry Tub & Storage, Two Wide Balconies, Extra Wide Parking Spot. Separate Storage Unit On Same Floor. Incredible Bayview Village At Your Doorstep, Amica Services Next Door, Ready For You! Impeccably Maintained & Updated Detached Home, Steps To Wanless Park, Prime Bedford Park School District & Minutes To Toronto French School! Deep 135 Foot Lot, Detached Garage & Legal 1 Car Front Pad Parking W/Interlocking! New Electricals (Knob & Tube Removed), Pristine Original Wood Trim, Wainscotting & Mouldings, 3 Bedroom 2 Bath Layout. Kitchen Walkout To Entertaining Deck & Backyard, Newer Roofing (4 Years Old). Customize To Suit Or Just Move In! Large 4 Bedroom 3 Bathroom Home Located On Quiet Cul De Sac In Richmond Hill, Massive Pie Shaped Lot! Fully Updated & Renovated With Stainless Steel Kitchen Appliances, Freshly Painted Throughout, Newly Updated Pattern Concrete Driveway With Interlocking Walkway, Fenced Yard, 5 Car Parking & 1 Car Garage, Semi Detached Townhome With Nothing To Do But Move In! Customize Basement To Your Preferences! Quiet Family Friendly Street - Rare 4 Bedroom End Unit Home! Waterfront Voyager Condos, Lake & Beach At Your Doorstep! 1+1 Bedroom, 1 Washroom Layout With Owned Parking & Locker! Exceptional Amenities: Concierge 24Hr Security, Guest Suites, Virtual Golf, Theatre Room, Indoor Pool & Gym, Picturesque Lakefront Access. Seconds To Walking Trails, Lake Ontario & Parkland. Outdoor Private Balcony With Southwest Lake & Courtyard Views. Stainless Steel Appliances, Laminate Flooring, Parking & Locker! Its All Here For You! Newly Built Condo In Garrison At York Condominiums - Luxurious Residences, In Showroom Condition! Preferred 2 Bedroom, 2 Bathrooms With 147 Square Foot Oversized Balcony With Walkout From Master Bedroom & Living Room! Includes 1X Parking And 1X Locker. Smooth 9 Foot Ceilings, Unobstructed Clear North East Exposure! 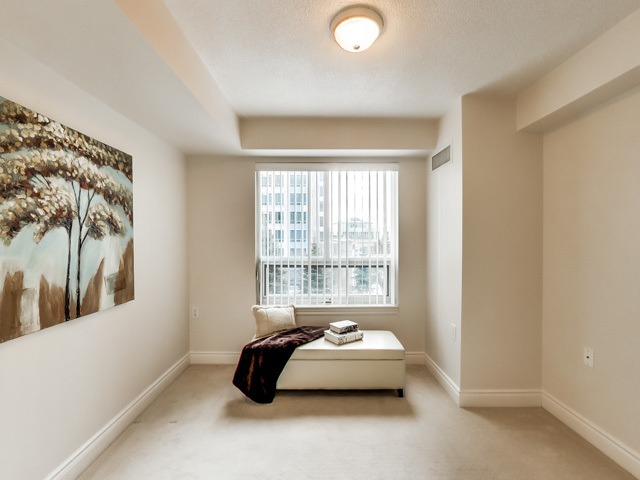 Convenient Downtown Location Steps To Waterfront, King West, Entertainment District, Ttc & More! Don't Miss Out On This Exceptional Condo Suite!